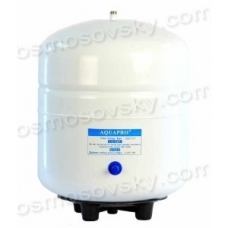 The water passes through the reverse osmosis membrane is very slow. One must have extraordinary patience to wait for filling at least a glass of water. Therefore, domestic reverse osmosis filters are equipped with air-water storage tank for storing the treated water. Storage tank provides a steady and constant flow of water at the opening of the drinking water tap. 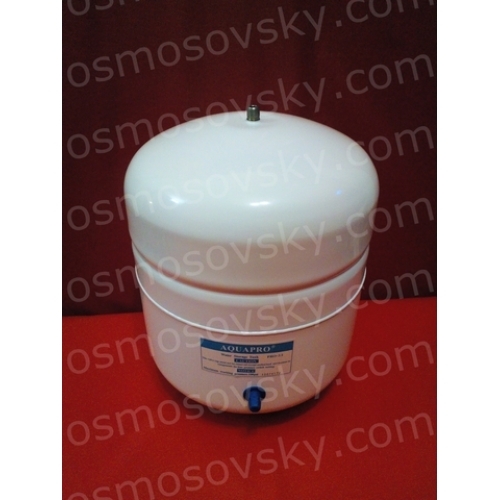 Storage tank is commonly called tank TOE. The tank has two cavities - air and water, separated by a flexible diaphragm. The air cavity pumped air pressure 0,4 - 0,6 bar. 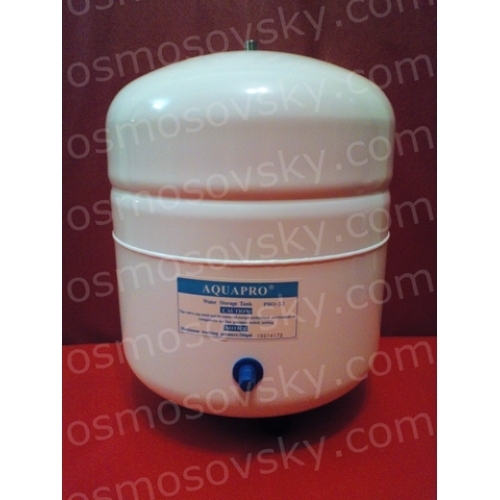 During operation of the reverse osmosis purified water flows into the water of the tank, compressing the air through a diaphragm portion; as a set of water pressure increases. When you open the tap drinking water, compressed air through a flexible diaphragm pushes the accumulated water from the tank to tap the consumer. The tank used TOE joining stainless steel to avoid oxidation leaching or metal. - Compliance with safety standards NSF 61 and 58. Approved IAMPO and CE. 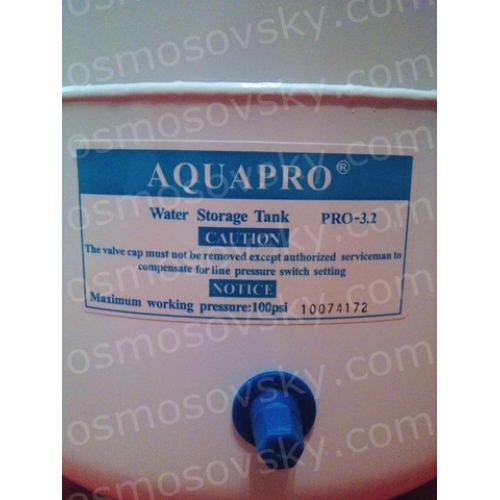 Buy RO storage tank AQUAPRO PRO-3.2, you can place your order on our website or contact us in any convenient way for you: контакты osmosovsky.com.